To get started, paint the candle shape onto your board. Using a foam paintbrush makes this pretty easy because the candle is about the width of the paintbrush. You can just dip the paintbrush into the paint and make a straight line. 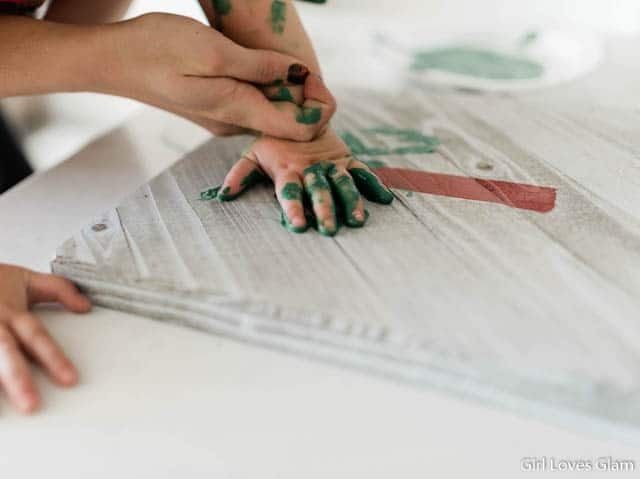 Next, dip your child’s hand in green paint. 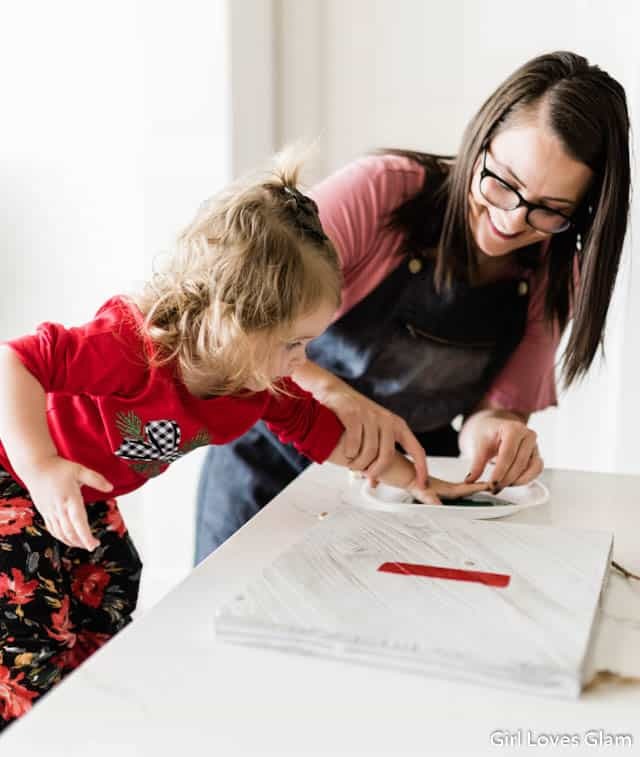 It is easiest if you either put the paint on a paper plate and dip their hand in, or if you paint the paint into their hand. 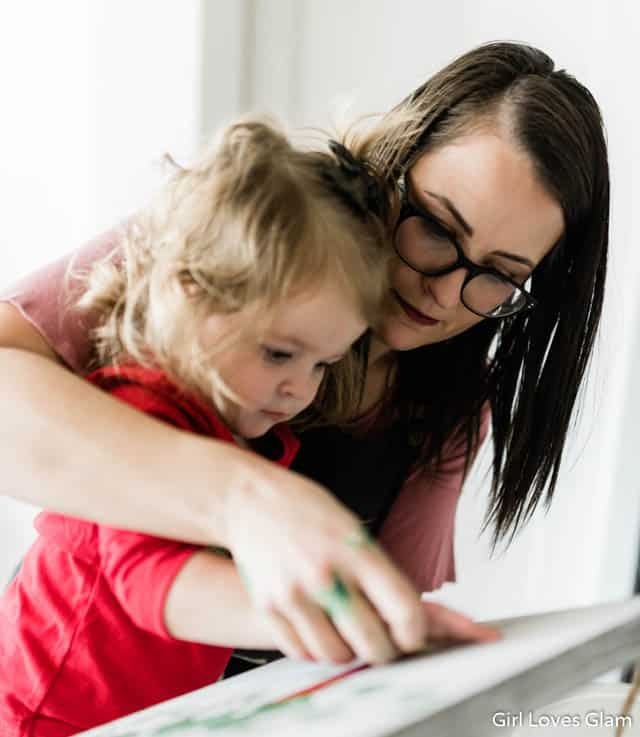 Now you will help your child stamp their handprint onto the board. You will want it to kind of face sideways, right along the bottom of the candle. 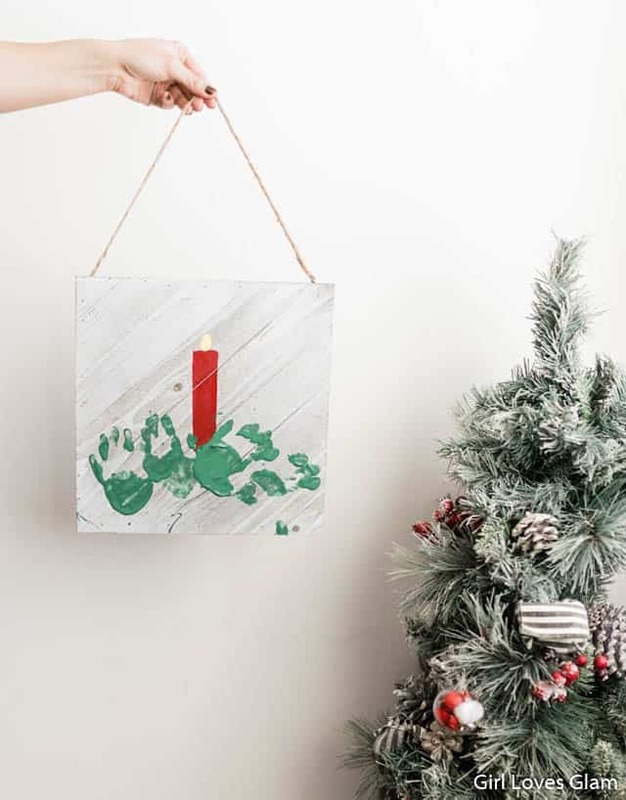 Repeat those steps with another handprint on the opposite side of the bottom of the candle. We went and made another handprint stamp next to the first two, to make the candle wreath a little wider. Next, Wipe the green paint off of your hands and dip your child’s thumb into the yellow paint. 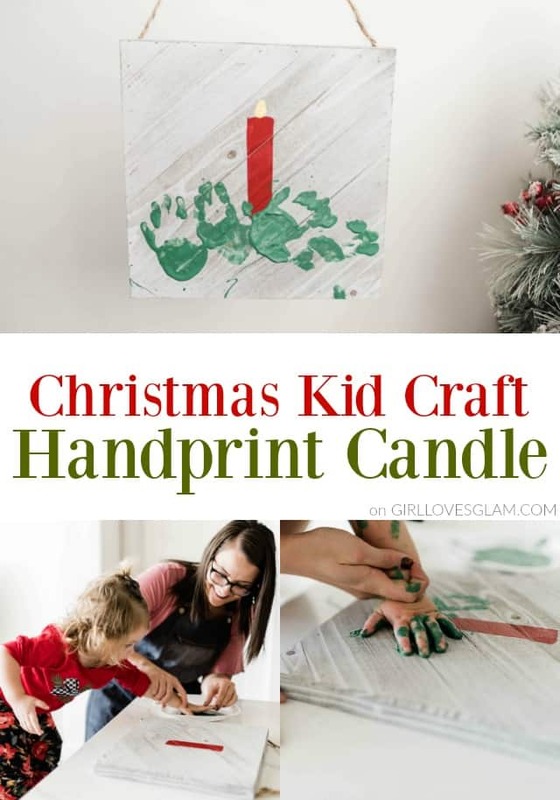 Stamp your child’s thumb at the top of the candle, to create the flame. 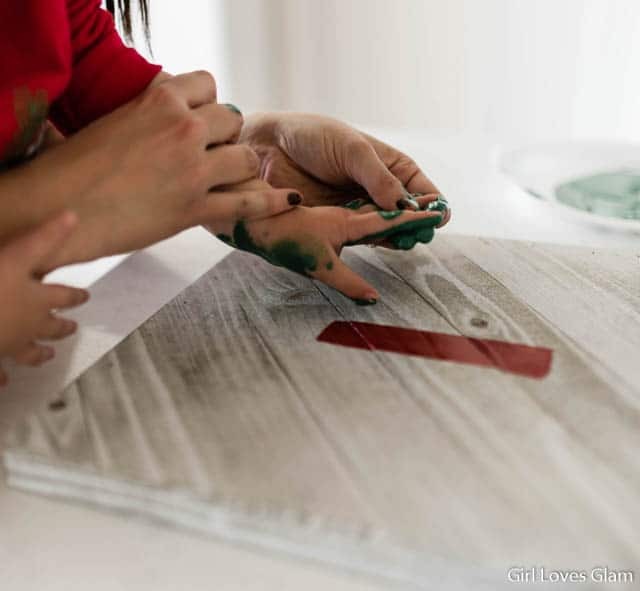 Once your paint has dried, you will have a new piece of Christmas artwork to display! 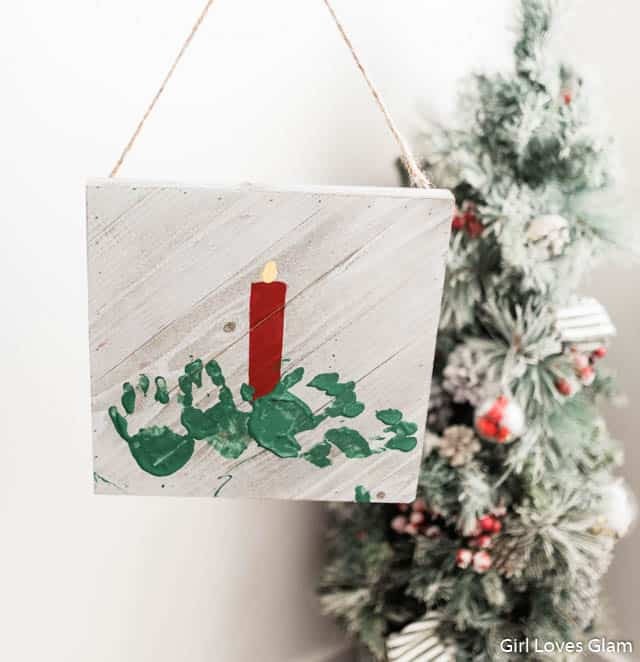 For even more handprint crafts you can do for Christmas, check out our angel handprint craft, this footprint reindeer, and this Christmas tree handprint art! 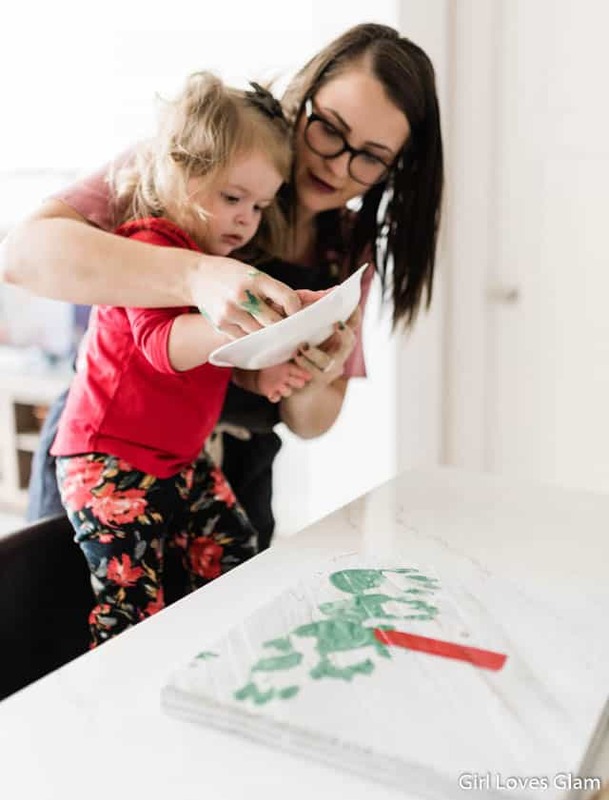 Do you like to decorate with children’s artwork?